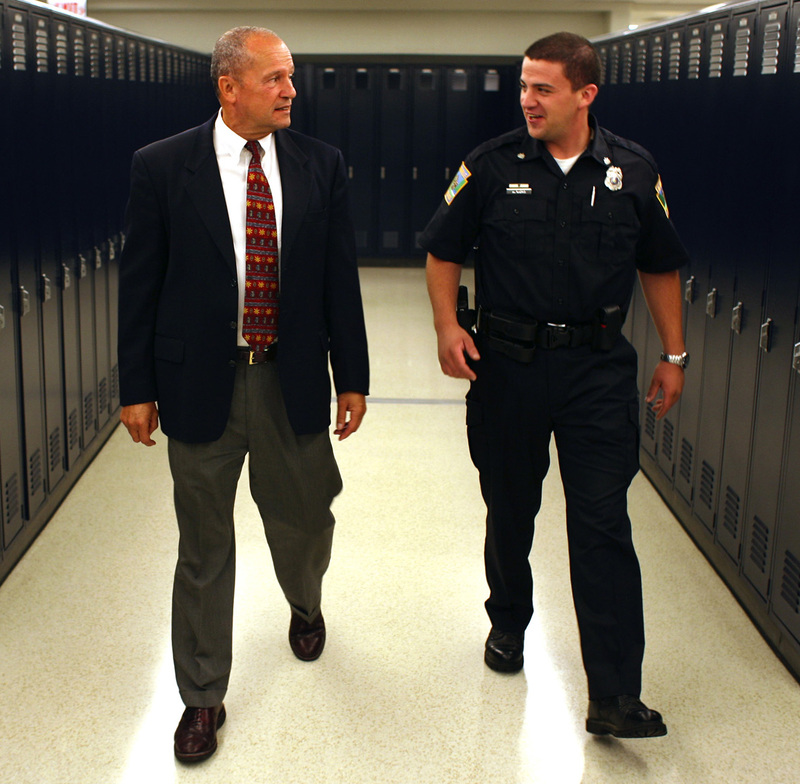 In Memoriam - Louis A. Mayo, Ph.D.
On a daily basis, School Resource Officers (SRO) are confronted by the question of whether they can legally share or obtain information with school staff about students they all serve. This question also applies to information sharing between these school-based law enforcement officers and professionals serving children outside the school, such as health care providers and social service caseworkers. Further confusion arises when students are involved in multiple systems, including juvenile justice, mental health, child welfare, and others. Unless information is shared, providers may only have a partial picture of what is going on between a student and his or her family. They will only know what the individual student or family member has shared and may not realize or know how to treat the root cause of a problem. If information is not shared, the SRO or provider could develop and implement plans that might have been deemed inadvisable had the complete picture been available. When information is shared, it must be done in compliance with federal and state privacy laws. 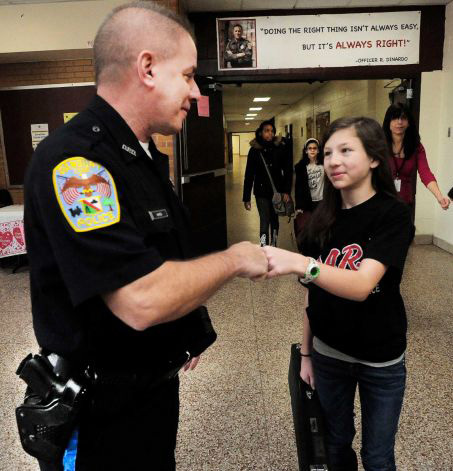 As illustrated in the scenario presented later in this article, SROs and other personnel within the school often feel confused about sharing information, even when they seek to prevent harm and intervene in the best interests of the student. The Navigating Information Sharing (NIS) Toolkit and website were created to help school-based law enforcement officers and all other service providers in a school-community partnership address the complexities of information sharing about young people in multiple systems. NIS aims to help these young people and their families by supporting school and community providers to more effectively develop and navigate information-sharing systems, policies, and procedures. NIS was developed by the National Center for Mental Health Promotion and Youth Violence Prevention at Education Development Center, Inc. (EDC), with funding from the U.S. Substance Abuse and Mental Health Services Administration (SAMHSA). On January 11, 2013, EDC convened the NIS Summit—a meeting of experts from the fields of education, mental health, law enforcement, juvenile justice, and child welfare—to discuss challenges and solutions related to sharing information about children and youth involved in multiple systems. The Office of Community Oriented Policing Services (COPS Office) was represented by John Markovic, Senior Social Science Analyst. The NIS Summit participants worked to advance solutions to support schools and community agencies to more effectively develop and implement information-sharing systems, policies, and procedures. Who [what agency] has the information? Who [what agency] wants the information? What specific information does the requester want? What exactly does the requester want to do with the information? What laws are relevant to this situation? What do these laws permit, and what do they prohibit? How can school personnel proceed legally to get the student help? These “essential questions” can offer guidance and direction for making information-sharing decisions. See this link for more information on how NIS uses scenarios to strengthen information-sharing skills. The SRO asks for the student’s home address and phone number, attendance records, and grades. The SRO intends to go to the student’s home and ask the mother to work with him to develop a plan to keep the student from getting into trouble. The school counselor’s disclosure of information to the SRO is governed by FERPA. A school may release directory information without obtaining parental consent if the school has given prior notice to parents of the specific types of directory information the school intends to disclose and parents have the opportunity to notify the school in writing that they do not want their student’s directory information disclosed. Thus, in this scenario, if the school has previously notified parents that it will disclose a student’s address and telephone number as directory information, and this student’s parent did not request that the information not be disclosed, the counselor may provide the address and telephone number to the SRO. FERPA allows disclosure without parental consent to other school officials who have a legitimate educational interest in the records. The school must include in its annual notification to parents the specific criteria for determining who is a school official and what constitutes a legitimate educational interest. 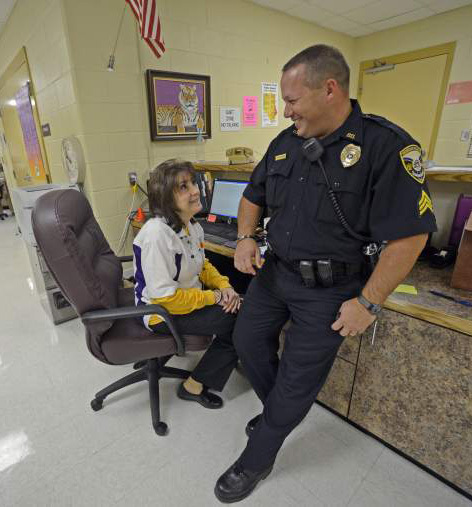 In this scenario, the counselor may provide the requested information to the SRO if the school’s notification specifies that the SRO is a school official with a legitimate educational interest. (If the school is permitted to release information to the SRO under this exception, the SRO may not re-disclose the information to a third party without the parent’s consent.) If the school does not meet these requirements, the school counselor can only disclose information to the SRO if the counselor has the parent’s signed authorization. Alternatively, the school counselor can disclose information to the SRO if served with a subpoena or court order to do so. But if the school receives such a subpoena, it must make a “reasonable effort” to notify the parent of the order or subpoena before releasing the records to law enforcement. School personnel can ask the parent to come in to discuss the situation with the SRO and the counselor and then to sign a consent form to allow the counselor to give the SRO the desired information. The authorization can and should contain assurances that the information will be used only to assist the student and that no further disclosure will be made. To further augment the NIS project, EDC is seeking new scenarios to add to the NIS website. The plan is to feature new scenarios, then answer the essential questions with the assistance of a number of experts in the field, giving the reader “best practices” upon which to make their decisions. This information will be presented with the disclaimer that it is not intended to replace legal advice. Ideally, the scenarios are one or two paragraphs long and contain a description of the type of information that someone is requesting or is being asked to share, the roles of the professionals involved, and a brief summary of why one or more individuals in the scenario are reluctant to share the information. In particular, we are looking for new scenarios on the following topic: Challenging situations involving the juvenile justice system. 1FERPA refers to Family Educational Rights and Privacy Act (FERPA) (20 U.S.C. § 1232g; 34 CFR Part 99), a federal law that protects the privacy of student education records. The law applies to all schools that receive funds under an applicable program of the U.S. Department of Education. More details are available from the NIS Toolkit.